Are juvenile offenders getting younger? The American public often hears policymakers and justice practitioners assert that young people are committing crimes at younger and younger ages. Is this true? This analysis explores this question by examining data collected by law enforcement agencies across the country. It tracks juvenile crime patterns from 1980 through 2006 and finds that the age profile of juvenile offenders has not changed substantially in 25 years. 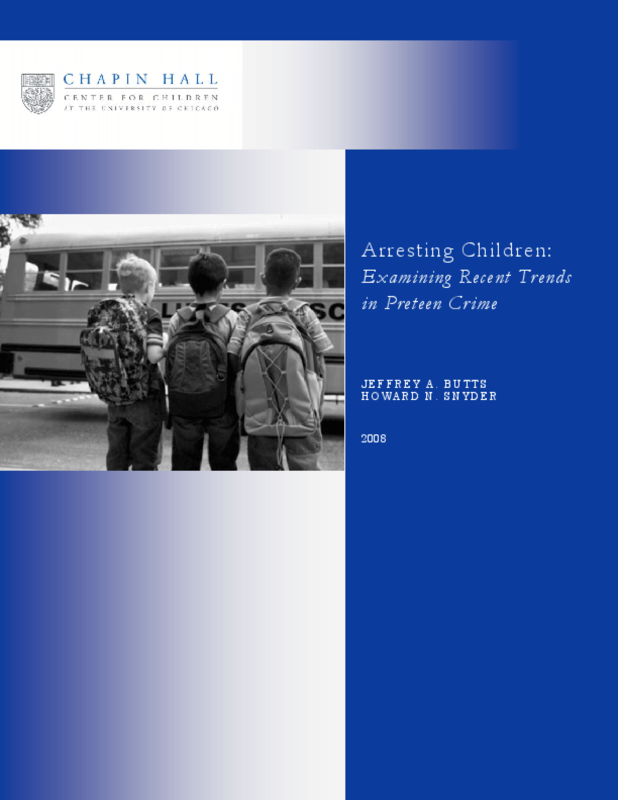 Crime rates among children under age 13 have generally followed the same crime patterns exhibited among older youth. In a few offense categories, however, increases in preteen crime have outpaced increases among older juveniles, particularly sexual offenses, assaults, and weapons possession (not necessarily firearms). The fact that school authorities and family members often report these offenses suggests a possible hypothesis to explain increases in some preteen crimes: The juvenile justice system today may be dealing with child behavior problems that were once the responsibility of social welfare agencies, schools, and families.